How to show Microsoft Word Document content in browser using ASP.NET? Recently I have seen so many members posting the questions in forum “How to show Word Document in browser without showing Open/Save dialog box. Today we will see how we can show the word content in browser without opening the whole word document separately in browser. Today we are going to learn how to open the word document content in browser using ASP.NET. This is one of the common requirements if you are building job portal or any portal which takes the attachments in Microsoft Word document. This approach to show the word content in browser doesn't require much coding. 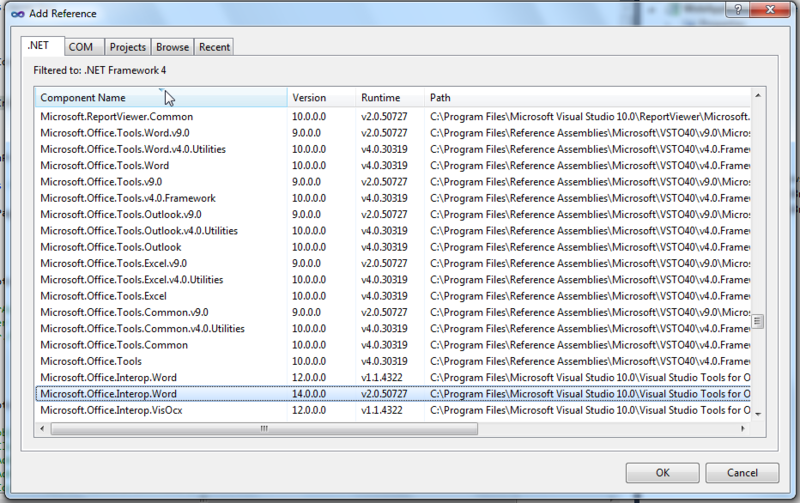 It requires only the Microsoft.Office.Interop assembly reference and few lines of code. First we will prepare our sample word document. Save the above document in a folder, In this case I have saved the same in D drive of my computer. Open Visual Studio and then open a new project, give a proper name to your solution and also for the webform. Add a button in your web form as "Show Word Document". Double click on it to open the code behind page. Below is the code you have to use under button click event. In the above code you can see that I am reading the MS Word file dotnetspider.docx saved in D drive. I believe most of the code here is self explanatory. If you have any doubt in this code please post your comment below. if the word document have any alignment, styles, animations, images means how to display the word document into the web page. in this resource just like notepad file read and write content into the webpage. put title as "How to show Microsoft Word Document text content in browser using ASP.NET?" How to design a web form that accepts data and store it in notepad file? How to show same word format in web browser.Please Help me. How to show same word file and same formet in web browser. how to view the ms word in browser for editable, not for read-only.